If you're looking for a high-quality camera, you don't need to spend a ton of cash, nor do you need to buy the latest and greatest new product on the market. 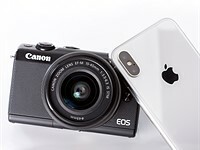 If you're willing to miss out on some features, you can save a lot of cash by picking up a last-generation model or shopping around for deals on refurbished or older, but still current, cameras. 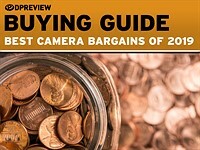 In this buying guide we want to direct your attention to some great-value cameras, which are still available. We'll start with the least expensive options and go up in price from there. 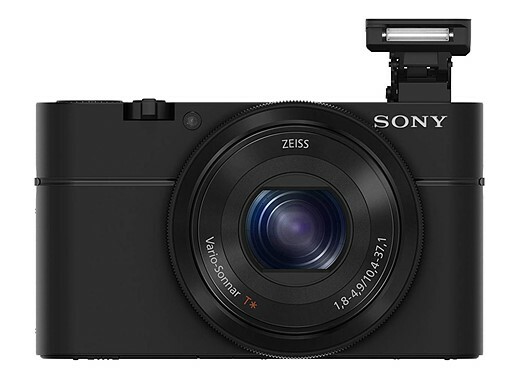 While not as capable as later models, Sony's original Cyber-shot RX100 is an inexpensive way to snag a genuinely compact camera with a 1" sensor. It has a 28-100mm equivalent lens that will do well in low light at the wide end of the lens, but not-so-great at telephoto. You miss out on the faster lenses, electronic viewfinders and improvements in autofocus and JPEG image quality that arrive in the latest models. The camera fits in a pocket with ease, though the body is slippery and some may find the controls a bit clunky. The RX100 has a 3" non-touch LCD but lacks a viewfinder. 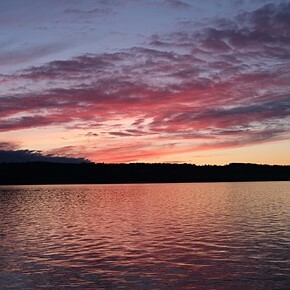 Photo quality is excellent and the same can be said for its Full HD video. It focuses quickly and can shoot continuously at 10 fps. Wi-Fi is built-in for photo sharing. 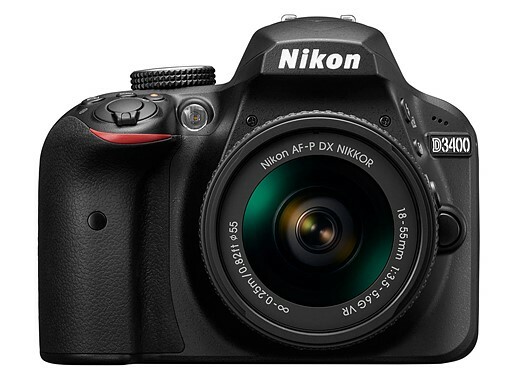 The D3500, a mild update to the D3400, is Nikon's latest entry-level DSLR. Like other Nikons, the D3500's 24MP APS-C sensor has excellent resolution and dynamic range. Its autofocus system is dated and it can't take many photos in a burst, so it's not well-suited for sports. What makes the D3500 so appealing is that it's great for beginners, with its 'Guide mode', selecting the correct settings for you based on use case, and tells you which of them were actually changed so you learn. The camera also features Full HD video capture (though AF is essentially unusable) and Bluetooth for easy photo sharing. Battery life is exceptional. 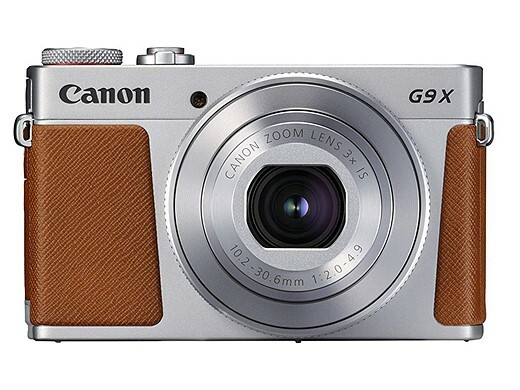 The Canon PowerShot G9 X Mark II is one of the cheapest and smallest compact cameras with 1" sensor that you can buy. The larger-than-average sensor will produce better-looking images than your typical compact, though the slow-ish lens will reduce that advantage in low light. The lens has a small 28-84mm equiv. focal range, which isn't as versatile as most of its peers. Despite that, the G9 X II has a well-designed touch interface, snappy performance, Full HD video capture and the latest wireless features. 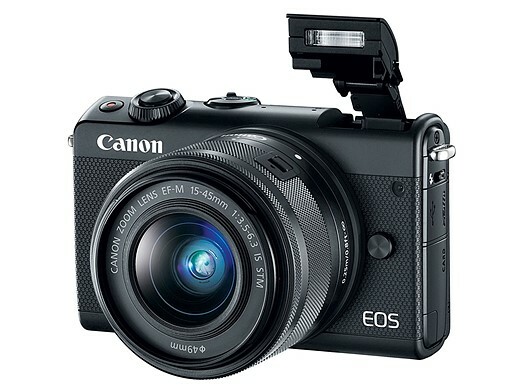 The Canon EOS M100 is one of least-expensive mirrorless cameras you'll find. It's packed with Canon's latest features, including its excellent Dual Pixel autofocus system and also has a flip-up touchscreen display. It's not as good at shooting action as the newer M50 model, which can also capture 4K video. The M100 features Full HD video capture and Wi-Fi with Bluetooth. While there aren't many native EF-M lenses available, the M100 is compatible with Canon's enormous selection of EF and EF-S glass with an optional adapter. 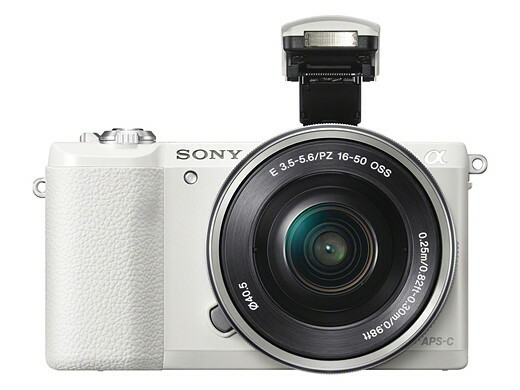 It's hard to believe but, five years after its introduction, Sony is still making its a5100 mirrorless camera. 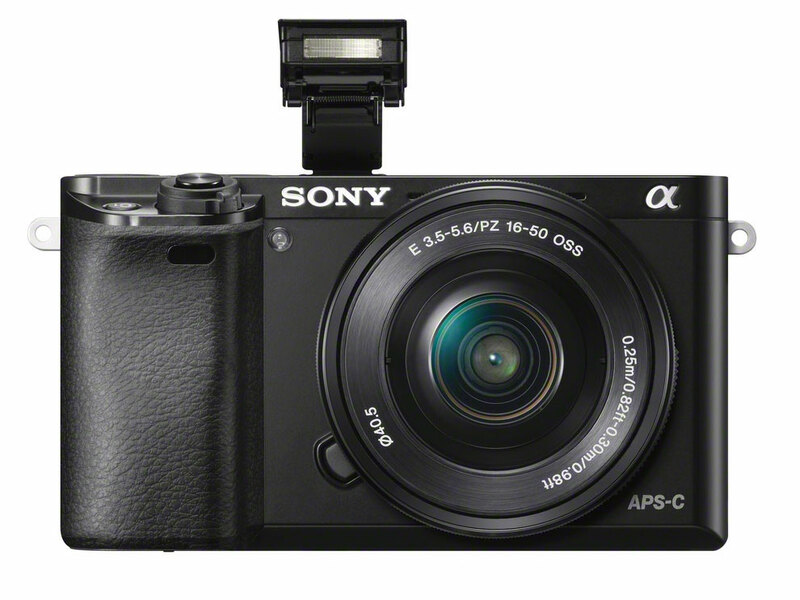 The compact Sony a5100 is a good choice for those on a tight budget seeking a point-and-shoot experience, but with interchangeable lenses. It hasn't seen the improvements in video, autofocus or JPEG color that have arrived in newer Sonys, meaning you don't get the excellent Eye AF feature. The a5100 uses a 24MP APS-C-size sensor and has a hybrid AF system that's still responsive today. There's a selfie-friendly flip-up touchscreen LCD on the a5100, but no viewfinder. It can capture Full HD video and has Wi-Fi with apps you can download to the camera. The Sony a6000 is one of the best-selling interchangeable lens cameras of all time, and for good reason. It has excellent image quality, a reliable autofocus system, 11 fps burst shooting and a sharp OLED viewfinder. The a6000 is targeted a bit more toward enthusiasts than the a5100, with dual control dials but (disappointingly) no touchscreen. It pre-dates features such as 4K video and Sony's excellent Eye AF feature, and improvements in interface and JPEG color. It captures Full HD video, offers Wi-Fi and can download feature-adding apps into the camera. It's worth pointing out that Sony's APS-C lens collection is relatively small and expensive compared to other mirrorless brands. 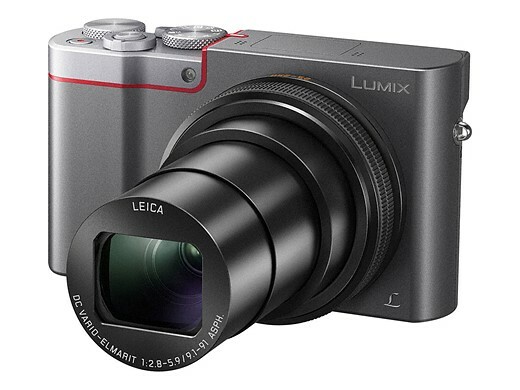 The Panasonic Lumix DMC-ZS100 (TZ100 in some regions) is a compact camera with a 1" sensor and 25-250mm equiv. lens. It fits easily in your pocket, making it an ideal camera for travel. 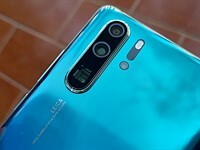 Its lens has a relatively slow maximum aperture, so it won't perform terribly well in low light, though it will still out-do compacts with smaller sensors. It doesn't get the nicer JPEG colors of newer Panasonic models. The ZS100 has a fixed touchscreen display and a 'better than nothing' electronic viewfinder. In addition to taking 4K video, the ZS100 also has genuinely useful features like 'Post Focus' and '4K Photo'. For those looking for a portable, versatile travel camera, the ZS100 is a bargain. 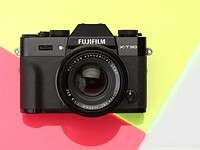 The Fujifilm X-E3 is a rangefinder-style mirrorless camera that produces excellent images straight out of the camera courtesy of its modern 24MP X-Trans APS-C sensor. 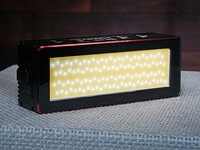 Its well-built body has direct controls for shutter speed and exposure compensation, and most buttons are customizable. A high-resolution EVF and touchscreen await users on the rear plate. It also offers Wi-Fi and Bluetooth. The X-E3 captures 4K video but not nearly to the high standard or newer models.While it doesn't have a built-in flash, with a small external one included in the box. The excellent 18-55mm F2.8-4 lens adds just $300 to the cost of the camera and is well worth the money. The Sony a7 II is a solid full-frame mirrorless camera that currently sells for a remarkably low price. It has built-in 5-axis image stabilization, a 24MP sensor, fast hybrid autofocus system and Full HD video capture. The camera has a relatively rugged, with some weather-sealing, high resolution EVF and tilting (non-touch) LCD. It misses out on the further improvements Sony has made in terms of JPEG color, autofocus and user interface in its latest models. Photos have great resolution and excellent Raw dynamic range, though the a7 II struggles a bit at high ISOs. Some users might find the buttons and dials to be too small, so it's worth trying one in person before you buy. Despite being released way back in 2014, the D750 is still one of the most attractive full-frame DSLRs on the market and an incredible bargain as it approaches its fifth year of production. The D750's 24MP sensor produces beautiful photos with low noise at high ISOs and plenty of dynamic range. 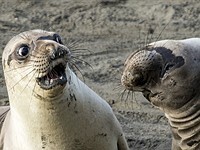 Its autofocus system tracks subjects with ease, though the camera's buffer fills quickly when shooting bursts. The D750's body is compact for a full-frame DSLR and it has a giant optical viewfinder, a 3.2" tilting (non-touch) LCD, built-in flash, dual SD card slots and Wi-Fi. It can shoot good quality Full HD video, though autofocus performance in video and live view is for static subjects only. Battery life, on the other hand, is exceptional. Helpful guide thank you. Finally able to make a decision. I have to say, and I'm a Nikon/Fuji user, the a7 II for $1000 is a good deal... gets you into the FF mirrorless market for only $1000. I won't go into lenses, as that's a different discussion but Even for me, $1000 for an a7 II is tempting. A lot of people here are saying "Why didn't they include X camera". They had to pick and choose from a population of perhaps 30+ cameras that could have fit this roudup. It's their choice. Just because your camera of choice didn't make the list doesn't mean it's a bad camera. It just wasn't in their consideration for any number of reasons. Completely useless guide! Really guys come on. You defenitely have to do better. I know you can, so why not try harder? There are tone of better Bargains to be had. Just one example... ... panasonic FZ 1000. Agreed, but there are probably 20 other cameras that could have fallen into this compoarison. DPR had to choose (and choose a well-rounded mix) some from the total population hat would have fit into this category. And even the term "bargain" is subjective. $10,000 for a camera that's normally $15,000 might be a bargain to someone with a six figure income (or a millionare), but to the average person it woudn't be. It's really odd to see the A5100 on the list. It's not a bad camera but it's hardly a bargain given you can get the just as compact but vastly more capable A6000 for nearly same price. Given the bargain basement prices we often see for Sony's 11fps wonder, every time I see the A5100 I think..... what's the point? This is a really weird list as it does not include any of Canon's rebel DSRLs. They are best selling, often tops of any sales chart for a reason: bang for the buck. I "get" that dpreview see's it's mission as pushing the camera industry forward into the new mirror-less promised land. However, ignoring the rebel line seems just a tad blatant/over the line. (example: 8 of the top selling DSLR cameras sold on amazon are Rebel T6 bundles. At $400 new and $300 refurb it's arguably the best "bang for your buck" bargain of any system: https://www.amazon.com/gp/bestsellers/photo/3017941/ref=pd_zg_hrsr_photo_1_2_last even widening our scope to just "photography" the T6 is the only ILC in amazon's top 100). The A7II + 28-70mm for a cool grand? I paid a little less for an A6000 and 18-135mm a few months ago. 2nd generation full frame mirrorless w. lens for $1000? You can get a 6D + 24-105/4L for around the same :P Or D600 + kit. I mean it IS a great deal, not saying otherwise, but how is it that CaNikon doesn't have 'anything close'? An A7 II is only a few oz lighter, even. I just upgraded from a Nikon d5300 to the D750 and I am much happier. I got it for $1,399 with a battery grip. Btw, who uses these monster grips? They seem like overkill. I just did a photoshoot with the D750 yesterday and I am loving the shallow depth of field! This was my 3rd choice. I really wanted the A7iii, but I couldn't justify how much I was going to pay for it and a 28-75, a 70-200, and a flash. So, this D750 is a stopgap for me for the next two years or so. Maybe Nikon might have a Z6ii by then with two memory card slots or the A7iii goes down to $1,399. 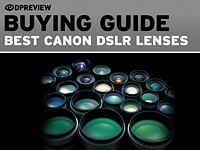 Thanks for the buying guide! The grips are for wedding photographers who want the battery life and second release. Pointless for everyone else. I'd rather have just about anything else. One of the best article, quality 4 money !!! BUT INCOMPLETE, I will add at least 2 cameras, available NEW too, and 4k performers - very good for "video" . - Olympus E-M10 Mark III, body - $500 new. - Samsung NX1, body - $1,300 new, the KIT - less $2,000 (16-50S, power grip) new too. No Pentax, a line formerly known for being good deals for the money, and no visible comments on Pentax either. How about the K-70 with 18-135mm for $797? Weather-sealed twin-wheel controls APS-C with IBIS, model released 2.5 years ago, but good high-ISO performance. DPR 79% / Silver award, and many thought it deserved higher. They had better bargain-priced models a couple of years ago. I seem to recall a Pentax DSLR with two lenses for under $500. The Fuji XT2 has dropped significantly in price over the years. I don't recall the exchange rate but I think you can get an XT2 body for about $1000 here in the uS (new). The other question is grey market vs legit US. What about the GX85 that comes with 12-32 and 45-150 for < $500? or the G85 with 12-60 + 45-200 for < $900? Nobody is making you come here and read the articles. That's on you. Most review sites (aside from individuals) are backed by some sort of other entity. Take what they say with a grain of salt. 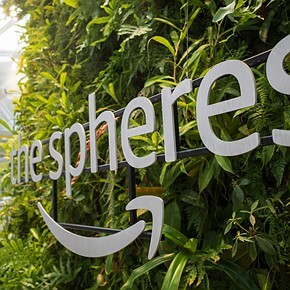 Who cares if they're owned by Amazon. If you don't like it, don't visit the site. Yeah I mean I get it I guess. Some people, however, are not as humorous and make their message (distaste for Amazon "owning" DPR) well heard. GX85 + 12-32 + 45-150 - $497 on Amazon for almost a month now. Probably the best mirrorless deal. If you don't need the 45-150 or you even want only the body, you can get them cheaper from Amazon Japan. Just use Google Translate and you'll be fine. Of course it will take longer for it to arrive, but you do save some $$$. Really agree with you on this. IBIS that is 2 stops better than Sony's best. Changeable lens. An extra 45-150mm lens is equivalent to 90-300mm full frame yet 1/3 smaller and lighter. Anti aliasing removed as well as shutter shock gone. Superior HD video recording when you don't need 4k. No small, inexpensive cameras with viewfinders. The original Panasonic LX100 should be on this list, it's lots younger and more capable than the RX100, and at about the same price new. I'm surprised DPR has overlooked the amazing prices on Panasonic GX85 kits. You can get a GX85 with 12-32 and 45-150 zooms for $500. Now that's a steal. GX85 really is great cam. The dual-is in 4k produces some great video and the AA-less senosor does great for photos too. Viewfinder is workable but overall I prefer GX8 - GX8 is the best M43 body for me at the moment. Second that. I got this package last April through dumb luck. I traveled for a business meeting and wanted to do some tourism but forgot to bring anything other than my phone for photography. So I went to the local camera store, w/c shall go unnamed, and found this deal for the GX85. They were clearing inventory and it wasn't even advertised because it would violate Panasonic's pricing policy. I've taken more than a thousand pics and videos since then. I found this article while shopping for a new camera today. Thought I may have missed the BF,CM camera deals. It seems a lot of you like the GX85 kit so I found it on Ebay from an East Coast vendor for $498. Ebay is giving 10% off so $448 total cost including accessory kit. Are these two lenses decent? The GX85 review only talks about the 12-32 lens. 45-150 is very good in deed. Slightly better than 14-140 MK II at respective focal lengths. Ephotozine's tests indicate they're similar at wide and middle focal lengths, but the 14-140 is better at full tele. Ok :-) My assessment was subjective I guess, based on having them both. To be fair, the difference between "very good" and "excellent" may not be all that apparent in normal shooting unless you're really doing careful testing. I had a 45-200, and after a while I noticed that it wasn't quite as sharp over 150mm, but I still managed to make some really nice 16"x21" prints of >150mm images. The XE3 with the compact XF 27mm is a fantastic combo for travel light and street photography. It almost a cellphone size! Fujifilm knows how to get more lovers to their system even those who love their brands like me "pentax fan". 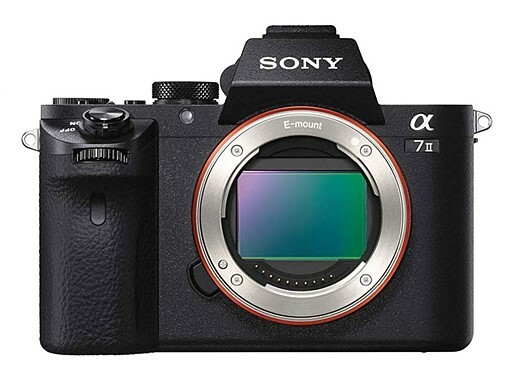 he sony a7R2 can be had for short money and is one of the finets mrrorless cameras for any price. Nope... unless you need 42MP, you can get the A7III for what you can get the R2 for and is better in every way other than the MP count. All talks about that D850 outperform canon in all ways, but true is that real street price on this cameras is very different. Now i can buy 5d4 for $2300. And its official ! And it still very good workhorse camera. If we consider the price we can see, that 5d4 now is really very good choice. 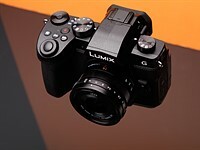 Panasonic GX85 - with two lens kit it is $499 - almost 50% off the list price. The article claims the original RX100 has WiFi, but it actually does not. The second one does, as far as I know. My Nikon F3 hp is still kicking it. And it has a TRI-X mode that is fantastic. Careful, many in this crowd may not get your humor. My Leicas and Rolleiflexes have Tri-X mode, too. I was shooting my F5 today with 28-105 AFD in Tri-X mode. It doubles as a leathal weapon. Only for some but not me. I hope the next Z has dual slots and better tracking AF for those that need it. But for me I need neither. Greg, some F3s DID have a card slot. With the data back that attached to the 250 (or was it 500?) exposure magazine, a translucent card (which somewhat resembled a shirt collar stay) could be inserted in a slot. You could write a short note on that card, and it would be recorded in the film area. As for time, an analogue clock would record on the film, as well. 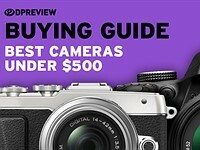 Thoughts on the RX100 Mk1 selling for $369 versus the RX100 MKIII selling for $478 at my local etailer???? Over $100 more but just looking at the focal range that 24mm seems a lot more inside-friendly than the 28mm MK1? Anything else I'm missing? Worth the extra $$? Thanks! 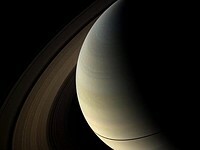 Plenty of posts about pretty weak image stabilisation on the Mk I also. Sony seem to have lost the off key to their production lines. If anyone knows where it is can they contact Sony direct please. DPR will keep punting any old Sony stuff whatever so no rush. A used 5D classic with a 50mm F1.8 is the best camera bargain of 2018. Screen is a crutch! Are you a photographer or a Chimp??????? No auto iso and no sensor cleaning. I got the original 5D in 2006. Great image quality but the censor attracted dust like a magnet. Only two months after the warranty expired and with only 8000 exposures, the shutter button fell apart. Canon charged $250 to fix it. I got it fixed , sold it on Ebay and switched to Sony. Best move I ever made! You switch to Sony in 2007?? vscd - Yes they do and did FAIL! WT21- Sure did switch to Sony, I have many Minolta lenses going back to 1985 that work perfectly on Sony cameras. Never heard of failed Shutterbuttons on the 5D, especially not after they build them (shutterbuttons) for decades before. You may know what you write. And then you switched to Sony. Ok. To which Sony exactly, using your Minolta lenses? The A-100 or A-200, the only ones available back then. APS-C CCD both... after coming from the CMOS fullframe 5D, because of a shutter-Button you already got fixed. Even if this is TRUE it's totally pointless and not very likely. Nice try, Sonyboy. I got the A300 in early 2008 and it still works after more than 75,000 frames with no problems. THE 5d SHUTTER BUTTON DID BREAK AT 8,000 FRAMES! WHAT PART OF THAT YOU DO NOT UNDERSTAND? It's not the only Canon that had that problem, so did the 40d and 60d. My old Digital Rebel, with over 35,000 frames, from 2003 still works perfectly today and I never had a problem with it. I can hear you, even without shouting. Still I don't believe you...live with it. I believe him but I don't think it's very common. If you are buying a used 5D that was built over a decade ago I'm guessing the shutter button would have broke by now if it was defective. So while I believe jwkphoto I don't think he has proved me wrong! Thank you for your post keeponkeepingon! I never saw that DPR post and It sounds like many other photogs had that problem too. 5D mark I is already out of support. If it breaks, you get to keep both pieces. My 5D came with a warranty from the camera store that sold it. It broke they fixed it. I kept the pieces and they all work fine together now. It looks like many others had the same problem at the same time I had with the shutter release breaking on my 5D. Canon knew about it from the earlier 20 and 30 Ds and did not solve the problem before the 5D came out. What I find strange is my old D Rebel had no problems. It's now 16 years old with over 70,000 frames and it still works perfectly. That is a great camera! Why is the EOS-M100 so pricey in the USA? Maybe tariffs. The grip for the EOS sells here fo 329 euros (including VAT) while it sells for $400 in the US... making it about 25 dollars cheaper in Europe. So without VAT inclused that is about $313. Anyway, it is a little strange to see somethings cheaper here than over there. The adapter has a lower MSRP too. Amazon will ship the genuine canon model to the USA for $100ish USD shipped versus $200 in the USA web site. No Pentax and Olympus as usual ! Which pentax or Olympus do you think should be on this bargain list? Overall a good round-up, but right now, I believe you can get the D3500 for about the same price as the D3400 kit, so you might as well get the newest iteration of the camera. The D3400 is 2 years old I believe. Also, I think the Fuji XT100 with kit lens (15-45) is also a good deal, at $599. Offers good quality given the price, and I'd probably get that over the X-E3. The D3500 is in some significant ways a downgrade from the D3400 - the function button has been removed (great for quick ISO adjustment), and there's NO REMOTE shooting, so... hardly worth choosing it over the previous model. Winners on the used market for me this year: XT-1 for $390. E-M1 for $420. (Sold my A7 for right around the cost of these two). 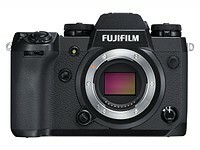 If I had the money, A7Rii for a grand would be my next body. Fabulous deal! As a manual focus shooter mirrorless is extraordinary because I can use all my lenses and just pick about any body to get the advantage I want. The product cycle is short compared to DSLRs so there are lots of highly reduced used goods. It's a good life. Buying used from B&H, Adorama is a great option.. Even better is Best Buy open box. I stole an A6500 for body only for $769 and A73 $1,689 with kit lens.. Can't wait to see what's going to be available after the holidays.. I don't think BestBuy does open box on anything more than P&S cameras or bridge/advaned P&S these days. I believe they have to send them back to the mfr once they are opened and returned (last I checked, and this may be on a manufacturer-basis--different for each mfr). I wouldn't want to buy an open box anyway as you don't know if someone dropped it or stuck their finger on the sensor, or did something else to the camera before returning it (that's me though). Sony may permit it, but i don't think Nikon or Canon do. I know they don't sell open box Nikon cameras (beyond P&S) as they (Nikon) doesn't allow them to. And it's all retailers of NIkon. Lenses they might, but not camera bodies from what I've seen/been told. Best bargain is £100 off the list £599 price of the Ricoh GR2 from Ricoh. Or £100 of the normal reduced price of £559 from some shops. e.g Park Cameras. Until end of Dec.
For some reason Amazon UK are ignoring the manufacture's price reduction. new panasonic lumix lx-100 for 600$ at the fist place i looked. original not the ii. its an amazing camera. knock off another hundred or two for a used one. There is no better deal than buying a Nikon D750. I heard the camera itself is very good. But, they had QA issues and there were recalls ..
QA issues are sorted out and for ultra short exposure times a flash could be a better choice. yes, but a simple $20 filter can fix things like shooting wide open (where one might want 1/8000s in sunny light). Obviously for sports photographers, that may be a limitation they have to deal with. But overall, the D750 is a good buy, and rivals even the latest Sony a7 III. They had QC issues in the beginning but they got worked out after about the irst 12-18 months I think. I've had two and neither had the reported oil spots (which actually wasn't so much the D750, as it was the D600/D610). I also never had the shutter issues either that some people reported. The first one i Had was purcahased 6 months after they released it, so it wasn't an initial batch. The second (and current one) was purchased at the end of 2016.
a7||. A steal at that price. No argument here on these bargains and in fact, with some careful shopping, prices can be found lower than the ones listed. For the target audience, the mentioned Canon M100 is a really nice camera at an excellent price. The article dinged the bargain Sony bodies for expensive lenses but Sigma sells some e-mount lenses for really good prices. For example, the 19mm and 30mm f2.8 are new for $169. Their other e-mount lenses are also reasonably priced. (Just as an aside, I've used my 30mm apsc lens on my A7iii and the image circle is big enough, zero vignetting.) The Sony 50/1.8 fe which works out to a nice 75mm on apsc is going for less than 230$. Those 3 will give you a nice range of light, compact, modern AF primes 28.5, 45, 75mm FF equivalent for a total of $570. Good info. WHat about a 70-300mm lens with a Sony A7II? I don't see any reasonably priced choice like the outstanding Nikkor DX-P lens at sub $200. The Sigma 19/30mm do not fully support the AF capabilities of the A6000 on this list. (You get only the center AF points). While the 30 is optically decent the 19mm is totally "meh", not much better than the kit lens at 19mm. Perhaps it's my copy but reviewers such as optical limits agree with my assesment of the 19mm. The Sigma AF 19mm f/2.8 EX DN has certainly an edge over its obvious competitor - the Sony E 16mm f/2.8 - so if you are feeling an itch for compact primes it may be a reason to go for it. Price/performance-wise it is just an average offering though." The sony FE 50 is "meh" and still almost twice the price of canons 50mm F1.8 which would validate dpreviews "expensive" comment compared to the competition. Plus for only $70 more you can get the made-for-apsc, excellent SEL50F18 that also ads OSS/IS and a more appealing body. Sorry dude... I agree with the others who replied to you. I was a Sony user since the A7II. That ended with the A7III. It is a fact that Sony has the best bargain bodies when considering the spec sheets vs price. But that is it. 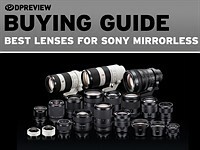 I have over the years gotten into arguments with many a Sony fan about lens prices and system performance. The fact is that Sony is that the sony system is simply not consistent. One can surely point out some “inexpensive” lenses but it is not the general trend with Sony. Almost every lens is more expensive than the competition. Performance varies depending on the lens, the FW etc. Basically (since we are talking bargains here) show me any Sony lens and I can show you a cheaper canon alternative. If you consider used market nothing will beat canon in terms of bang for your buck. You can pick up an A7II for 1k and I will pick the EOS R for 2k (that is what I have seen it go for on Black Friday). Over time canon vs Sony lens prices will cover that 1k dif. Yeah but like I was just at the local camera store. They wanted $275 for a used D3300 with lens. You might as well just pay the extra $225 and get a full mfr warranty. Now I know for some $225 is a lot, but keep in mind that even with a used warranty, you're at the mercy of the reseller or whomever has the warranty, to honor it. Most places I've seen here in the US, it's only 90 days. But in many cases, you can buy an extended warranty, but by the time you do that (say, for a used D3300 for $275 your at about the same price as a new D3400). Where it really can pay off is on higher-end models, that cost $1000+. 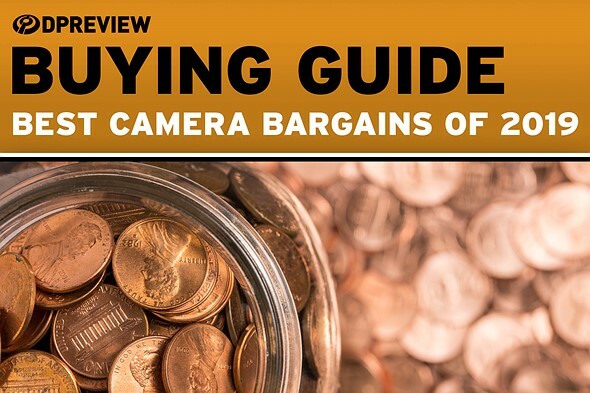 You can usually find some great used deals out there, but for the entry-level, ~$500 camera, it's you either take the risk, or buy a new one, because in most cases, a used $250 + extended warranty is only a little shy of the price of a new camera. I own some m43 gear and also some Nikon DX gear. Right now in Canada I can buy a D7200 for 100 dollars CDN less than a G85 (G80). The advantages of M43 have been outweighed by the crazy pricing (in my opinion) the last few years. yeah they kind have priced themselves out of the cheap little interchangeable market (which is why I got one in the first place). 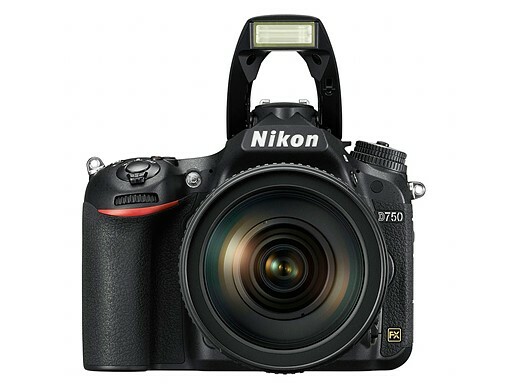 The D7200 (body only) is on sale for $300 off at $1000, but the G85 at $1050 includes the 12-60mm WR lens. So it's only $50 difference, and it's not at all apples to apples, because you need a lens for your Nikon. It's also not a foregone conclusion that the D7200 is a better camera than the G85. The G85 won't be as good for sports and action, but it's got IBIS, it's got weather-sealing, it's got a silent shutter, it's got stabilized 4K video, it's got unlimited record times, it's got a bigger EVF, it's got a fully articulated touchscreen, it's got a full complement of totally native, optimized lenses (unlike Nikon DX). In many ways, the G85 is the more versatile, more useful camera, for most applications, so talking about "crazy pricing" in comparison to a solid, mid-range DSLR, is sort of misleading. No denying it has more megapixels, a better sensor for low light, and better continuous AF. Beyond those areas, though? I had not seen that deal on the G85. The retailer I deal with is selling it body only for $1099. As I say, crazy pricing is only my opinion and it is only from my shooting perspective. You make some valid points about the advantages of M43, but most of them do apply to the way I shoot. I do like swivelling lcds, but dislike EVFs and do not use my touch screens much if at all. Also I do not shoot video. However, to be fair, these features are worth a lot to many people and perhaps worth the money to them. the D7200 has weather proofing also, and of course it has all the Nikon lenses, not just DX.. and Tamron, Sigma, Tokina etc. I guess if you're not interested in video (I'm not) then it's a no-brainer.. It's mirrorless. Just use a smart adapter and mount the same 60-600mm Sigma or 150-600mm Tamron you were planning to use on your Nikon, just with a Canon EF mount instead. There's lots of discussion about some of the Canon M series for beginners but not really appealing to me and I suspect others for one main reason. There's no way I'm going to put up with a 6 plus aperture on a lens at a mere 72mm equivalent which is what the kit lens delivers. If you already have a slew of Canon lenses you can use the adapter but then again that adds size and kind of defeats the purpose of the camera of which why wouldn't you just stick to a DSLR such as a SL2. In the U.K. the A6300 has £200 cash-back and can be had at another £100 off if you look for a dealer having an event, so I'd add that too. Although it's a crime the 16-50 kit lens is so poor and the general-use lens you really want (16-70) so expensive. Not sure about "Although it's a crime the 16-50 kit lens is so poor", but for saving the argument, lets put this baby into the real world. "However, the verdict remains that it isn't a really good lens." FWIW I think the Sony menus are more of an issue for people new to "complex" cameras than lens quality, but on a camera the price of an A6300 I'd like a better kit lens (pick one from 24- quite a bit beyond 70mm; wide aperture; really decent optical performance). For the average person (ie. parent, grand parent, or whatever, or beginner) the Sony 16-50 kit lens is not too bad. It's not the sharpest obviously. If you're just after taking snapshots, it's an OK lens for that. Anything more, and you'll want something else. Also, take note that it looks like KR may have used some plug-ins (Perfectly Clear for example) to sharpen/adjust the images, which may skew the true qualities (good or bad). I personally like to see the raw (no pun intended) output to compare lenses, with the minimal amount of modification in post. Kit lenses in general have gotten quite good from many of the OEMs. 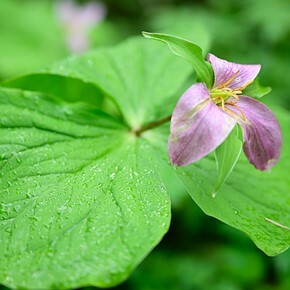 I still like the Fuji kit lenses (the 16-50 and 18-55) and even the lenses from Nikon and Canon are decent for general purpose photography for the average person (parent, grand parent, or someone just dabbling in photography, etc). The RX100 should have been swapped for the RX100 III with the EVF (yes it's $200 more than the one they listed, but many will find the EVF useful). I had one, but sold it, but sort of wish I didn't as it would be nice to have a pocket sized advanced P&S again, but other priorities have made it so I can't get one currently (but maybe later--maybe I'll get a used Mk IV or something). BTW I went from RX100 to RX100V (a while back, there was an amazing deal). As the V is the only discontinued RX100 (due to the RX100Va) I'd recommend people looking for a cheap V if they want a RX100 series camera and are okay with 24-70 equiv. I have RX100.M3, and I like it as I do not shoot video, I have multiple P&Ss, but my last trip that only brought RX100.M3 & Oly TG2 for backup for bad weather. See that's why I want an RX100 again... Granted I got my Fuji X-T2 for weekend trips, but there are even times (such as just walking around downtown Chicago) where I don't want to carry even the Fuji, but want something more than my smartphone. I'll have to look around again, perhaps even at used ones and see if I can find one. I'd definitely want the EVF though. That is -- you get a very good kit lens (which is discontinued btw, so go grab one, or you'll be sorry) for heavily discounted price + they throw in a camera for free. This has got to be one of the best bargains of 2018! 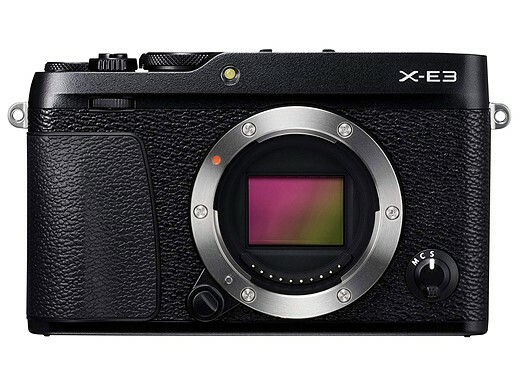 The X-A3 uses a slower processor and is much less well built than the X-E3, which was our reason for not recommending it. Yeah the 16-50 alone is $300 new if you had to buy one (although there are plenty used ones on the market for $100-150). But like what was said above, I'd get one just to get a "free" camera body, even though it's not the best (good as a backup maybe). I knew the A7 was $800, but I didn't realize the A7II is now $900! The A7RII is $1600. Sony's really taken away the price penalty for getting into FF -- especially if you like shooting with old manual lenses, which behave fantastically on these bodies. The best camera bargains, and lens for that matter too, are always found with reputable used items sellers. Here in UK they give you half to one year warranty on used photohraphy equipment in reputable online shops. Second hand d800, d750, d7200 is best value cameras in the world for stills. Having in mind nikkor F mount also. I'd agree, mostly, and I'd add the D610 is the best used bargain to get into full frame. 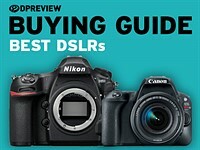 The D750s still go for such high prices you may as well buy a new one. Just got one. It was either that or the gx85, and since the FZ1000 is replacing a Fujifilm XS1, while the gx85 would have replaced a GX7, I took the FZ. The a6000 has EyeAF. It's AF-S only, but it works and makes focusing for portraits much easier. I know, because I used it. Also, the three newer Sigmas (16,30,56) are a great match for the Sony - sharp, fast and affordable. December isn't the busiest month for new products, so that means plenty of photo contests and 'best of' guides. Oh, and Red Leicas and drone-snatching eagles, too.